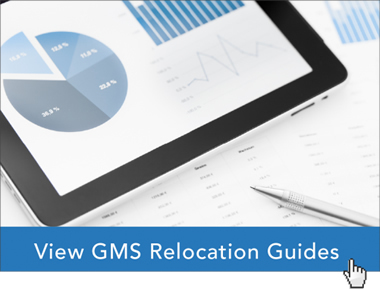 Gearing up for 2018: Have You Scheduled Your Relocation Policy Review? Corporate relocation policies are critical for companies that want to remain competitive in their industry, attract the best talent, and ensure alignment with objectives across organizational disciplines. Best practices indicate you should conduct a policy review every 12 to 18 months. With 2018 fast approaching, is your policy ready? There are several points to consider as you prepare for the upcoming year. Your organization probably has a strategic plan in place as it approaches 2018. Does your policy still support strategic objectives that have been identified as targets for the next year? If the plan is to develop resources or move into a new geographic region, your policy should be reviewed to ensure it covers all contingencies for these initiatives. Are you able to easily identify cost savings that you can achieve with your current policy? A thorough policy review can expose several areas where you can implement process improvements to save time and costs. Service costs and reducing exceptions are traditional areas where a policy review can provide easy and quick saving options. New technologies designed to simplify expense reporting and program management can be covered in a policy review to provide additional savings and process enhancements. While your organization works to gain a competitive advantage in your industry’s marketplace, the same is true of your competitors. Do you know if your policy provides benefits on par with what your competitors provide? How has the market changed over the past year in response to employee requirements and a competitive job market? A policy review can help you identify areas that need to change in order to maintain your organization’s competitive position. Is your policy still fully compliant with all national and international regulations? Continual changes in tax laws, visa, immigration, and other regulations often impact corporate relocation programs and employees. Without a policy review, you might start the new year without knowing if your policy is in compliance, putting your organization at risk in several areas including tax obligations, reporting requirements, and employee documentation. As laws and regulations continually evolve, you should review and revise your policies accordingly. Advise employees and internal stakeholders of any changes so they can adjust their plans and activities. If new reporting requirements include additional tax forms for 2018, it is imperative to inform your organization’s accounting and tax reporting functions so they can provide correct documentation. Global Mobility Solutions is a leader in the relocation industry. Our mobility consulting team understands the dynamic nature of the corporate relocation market and provides expert guidance for relocation policies to ensure our customers remain competitive while maximizing mobility efficiency and cost-effectiveness. To schedule your corporate relocation policy review or to receive an industry-specific policy benchmarking overview, contact us online or give us a call at 800.617.1904 today.